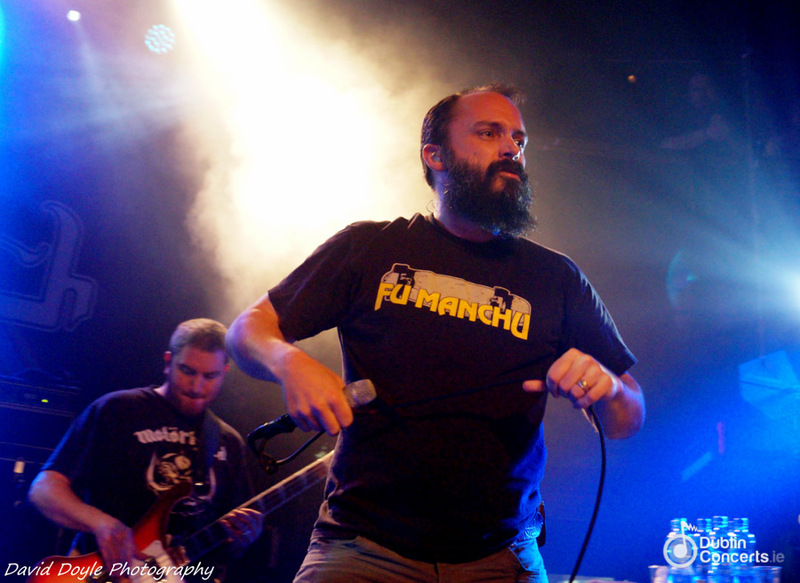 With about as much facial hair on display as a Taliban recruitment drive, the Academy has a distinctly bearded theme tonight as it hosts eminent American rockers Clutch and their supporting pals Lionize, both from Maryland. 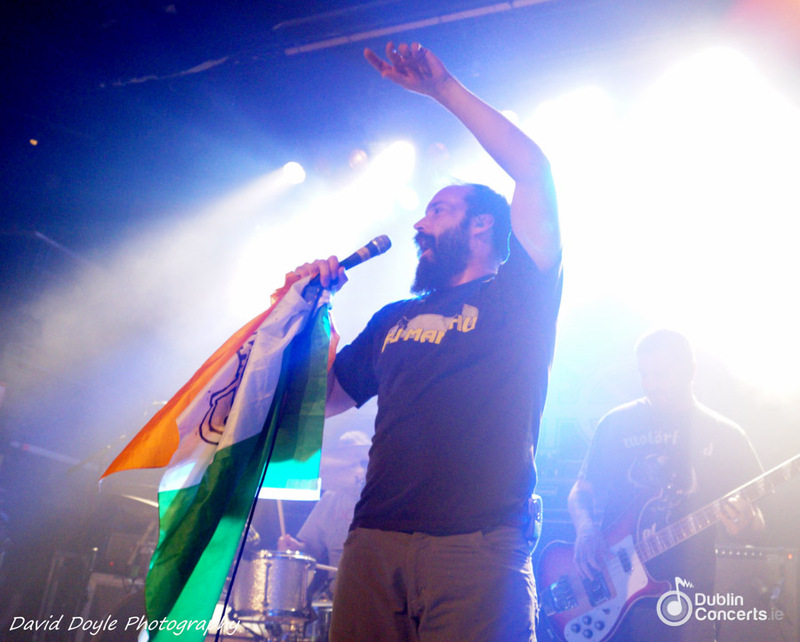 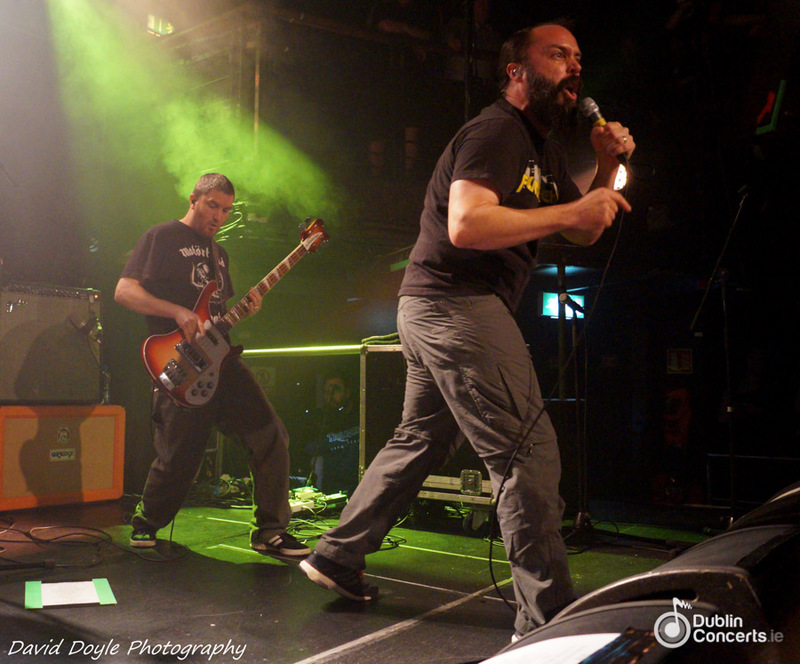 It’s been nine years since Clutch last played Ireland in the Ambassador, and their return has been much anticipated with tickets for this show sold out months in advance. 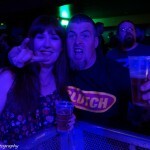 Their March 2013 release, Earth Rocker, was voted album of the year by Metal Hammer, beating releases from legends like Black Sabbath, Carcass and Motörhead, and tonight is officially the last show of the promotional world tour. 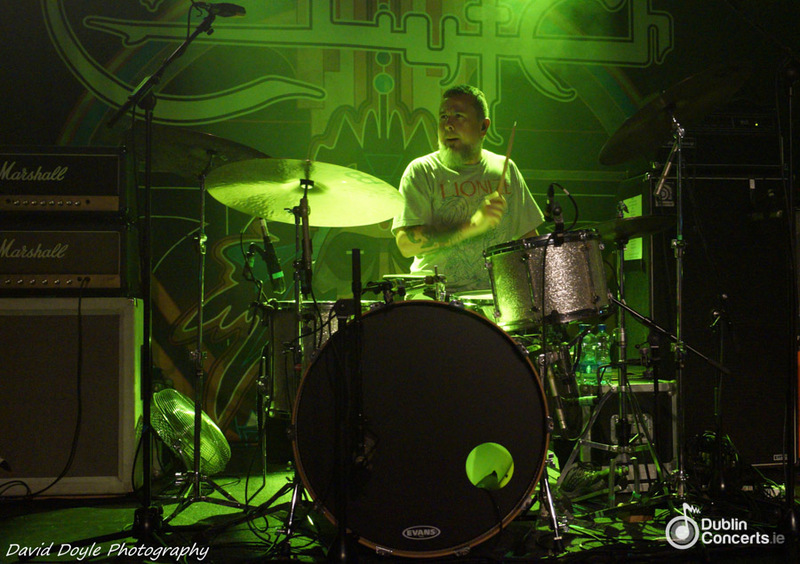 A surprisingly punctual 7:30pm start for Lionize catches many Academy regulars by surprise, resulting in many missing out on their distinctive brand of rock & roll laced with flavours of reggae, jazz, funk and soul. 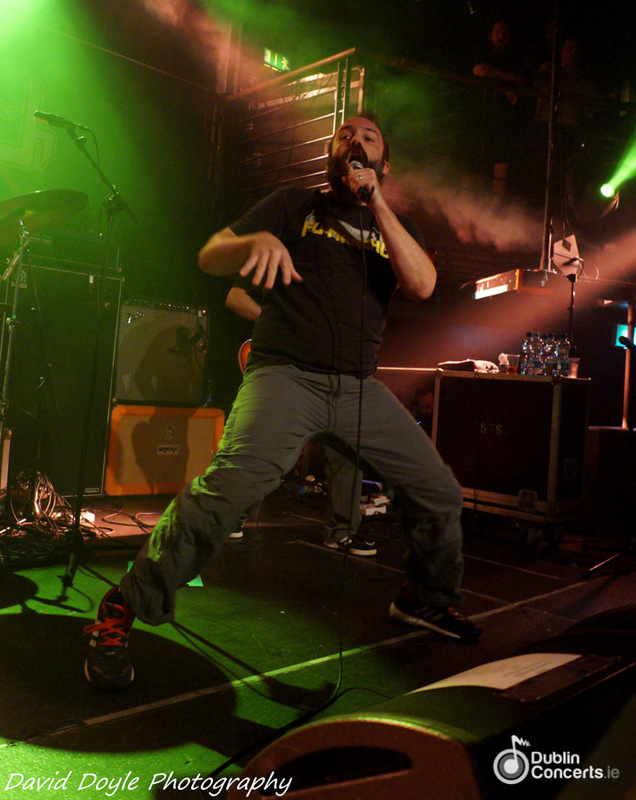 Despite the venue being at half capacity for most of set, the audience seem engaged in their performance, although the MCD signs forbidding crowd-surfing are probably redundant at this stage. 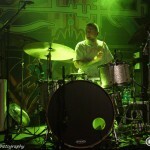 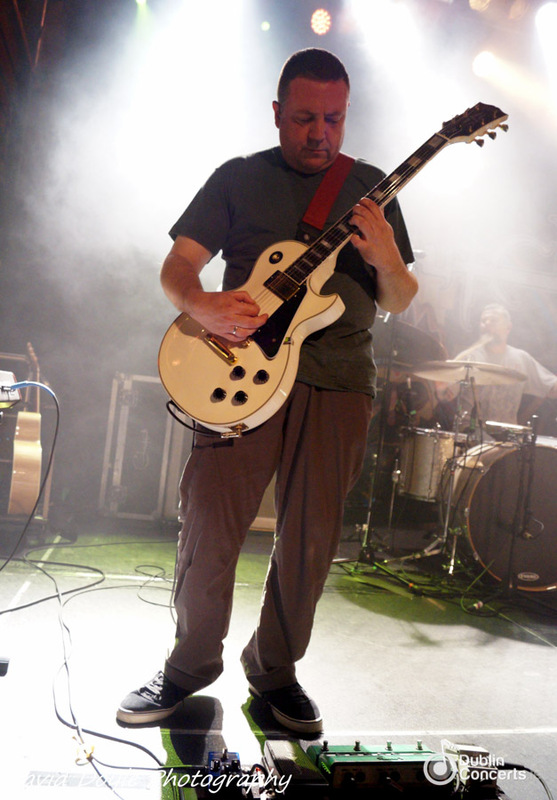 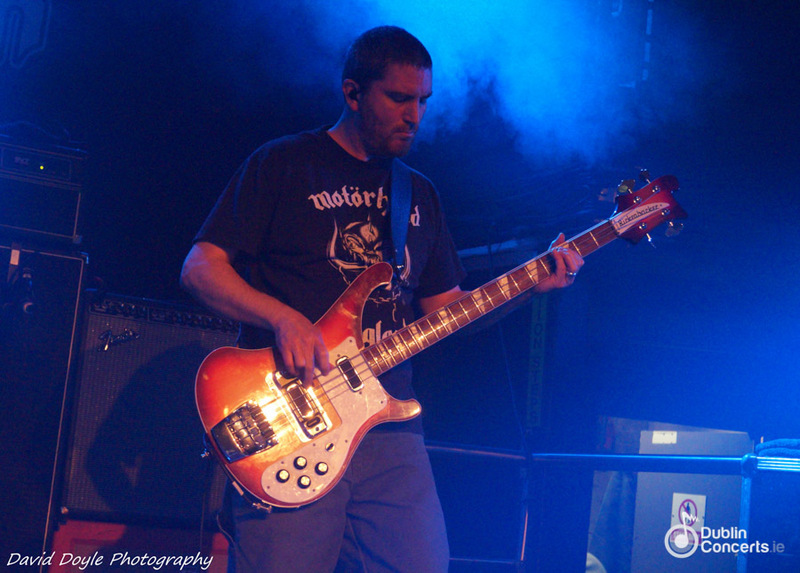 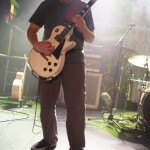 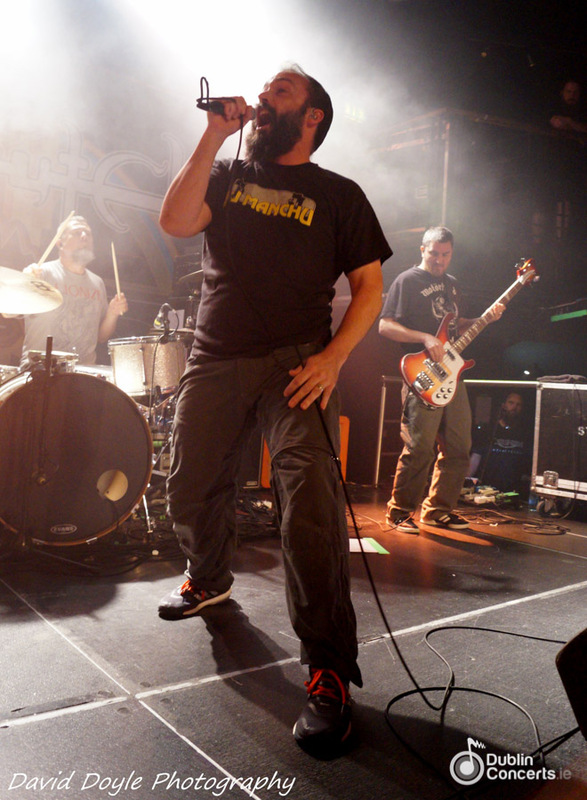 Lionize formed in 2004 and recently released their fifth album Jetpack Soundtrack; the first under the Weathermaker label owned by Clutch; and is their most developed and intense album to date. 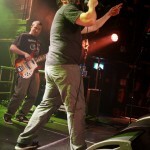 Their nine song warm-up set is almost entirely comprised of tracks from this latest offering, and the quartet appear to be genuinely enjoying the delivery. 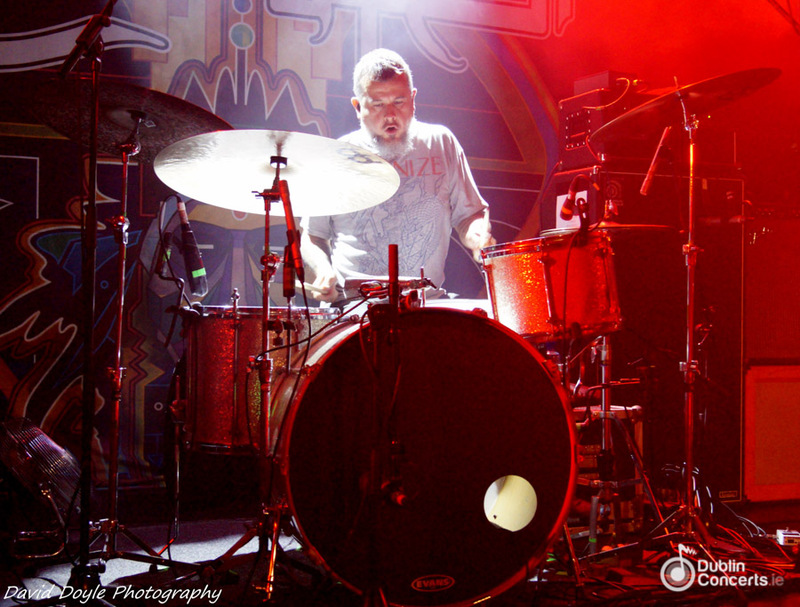 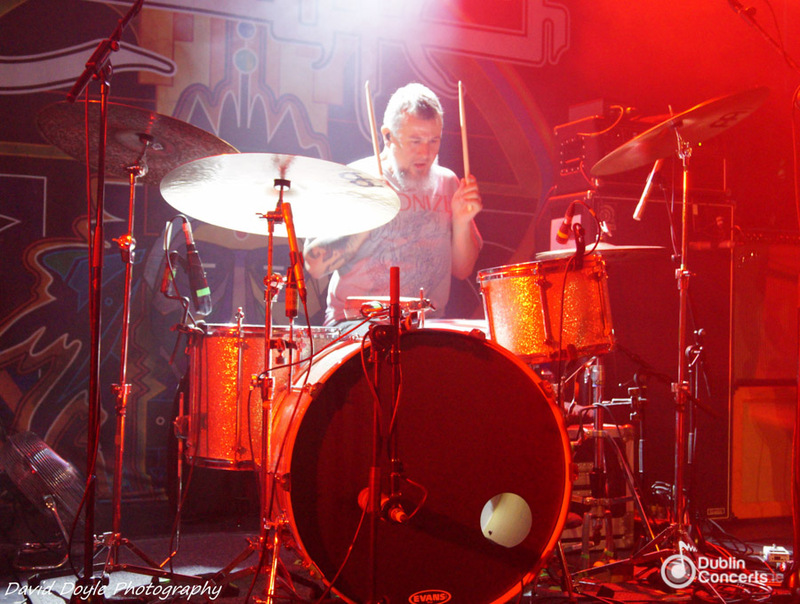 Drummer Chase Lapp, having only been recruited just prior to the release of Jetpack, is almost dancing at his drumkit; flamboyantly keeping the rhythm flawlessly while frontman Nate Bergman regularly addresses the fans in a humble and thankful manner. 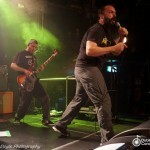 Their short but entertaining show is so well received that another unscheduled Dublin city performance is arranged for the following night. 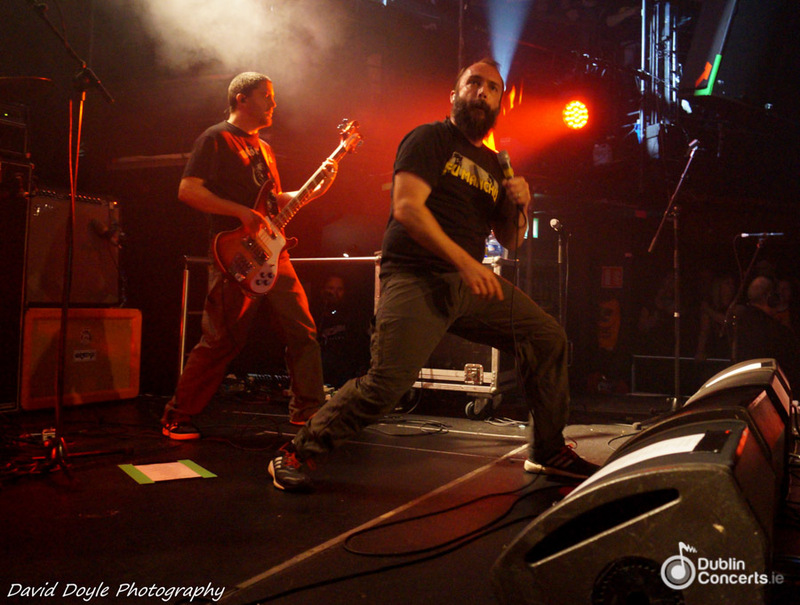 Taking to the stage at 8:45 in front of a now teeming crowd; Clutch open with ‘The Mob Goes Wild’ from their 2004 album Blast Tyrant. 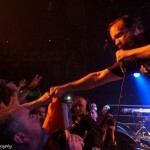 An appropriate choice; with fans singing, jumping and reaching their arms upwards toward charismatic frontman Neil Fallon, who tries to make individual eye contact with each member of the audience in every corner of the venue. 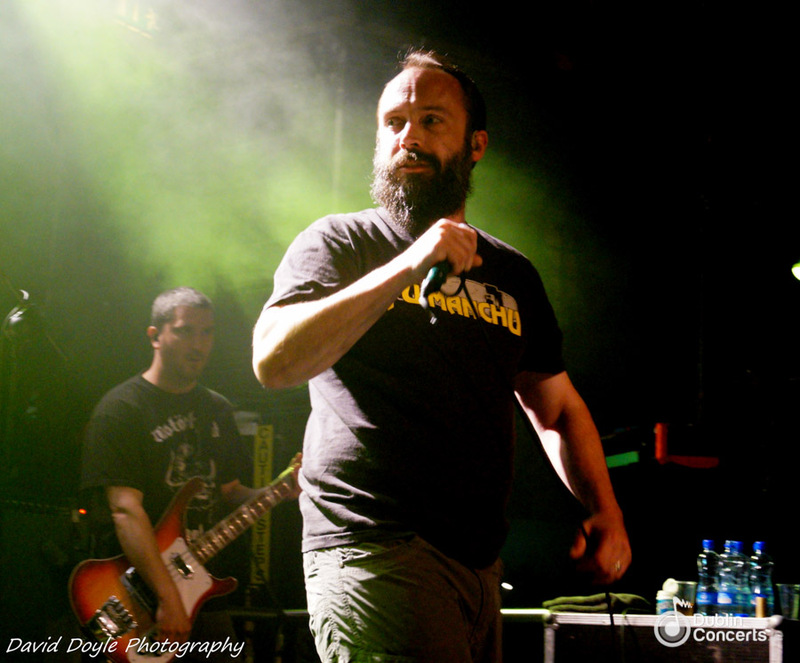 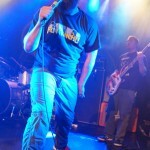 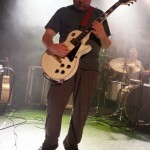 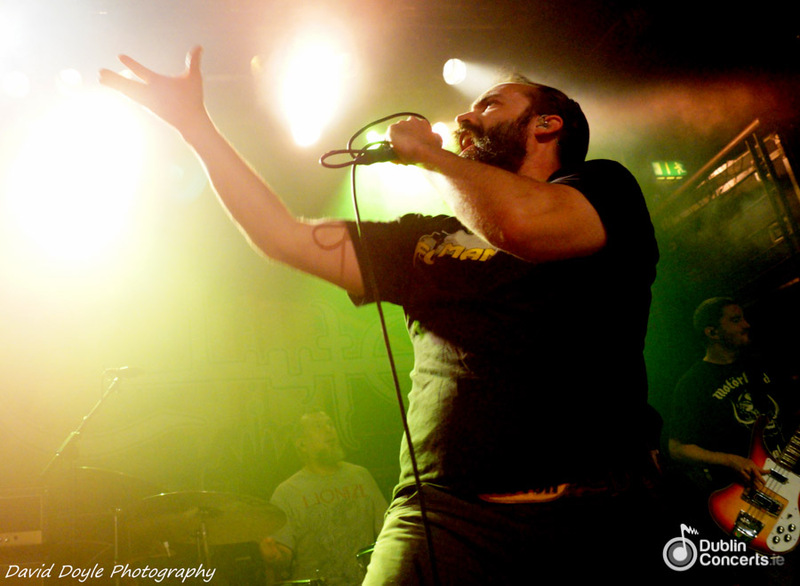 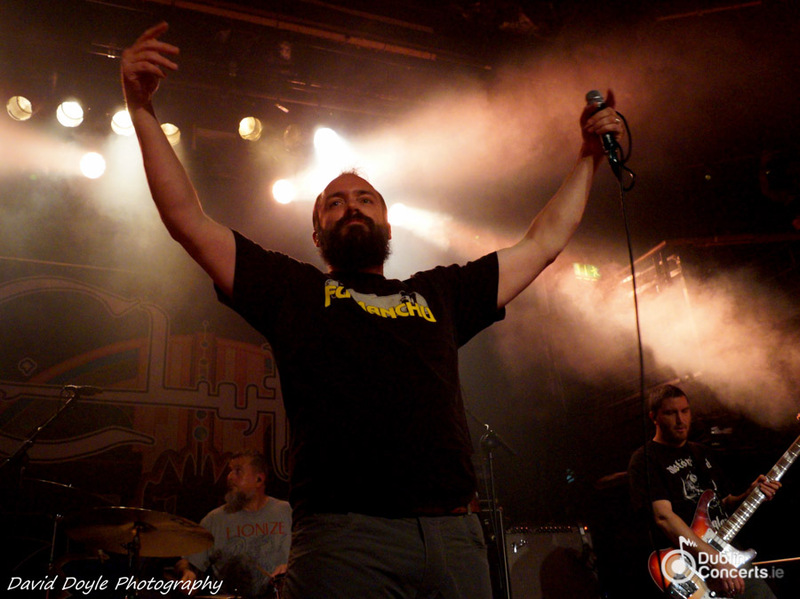 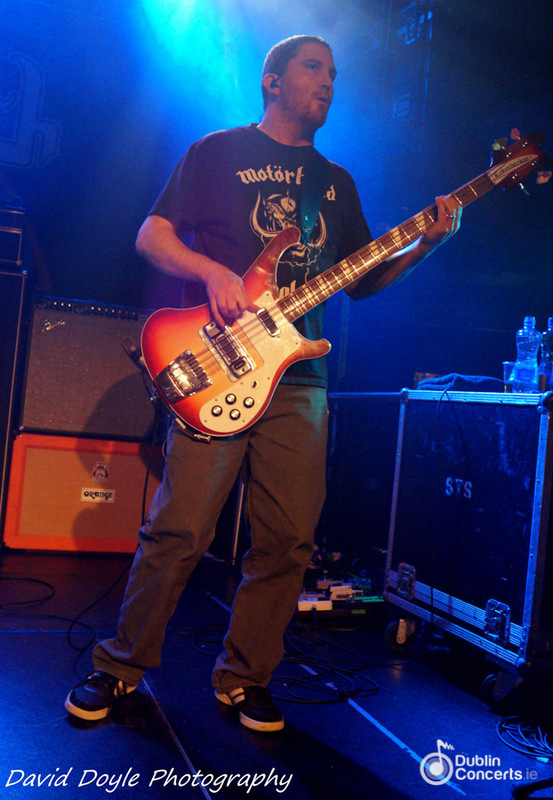 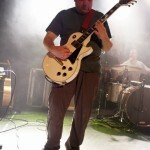 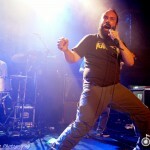 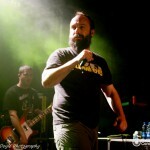 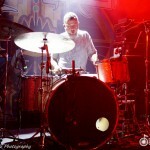 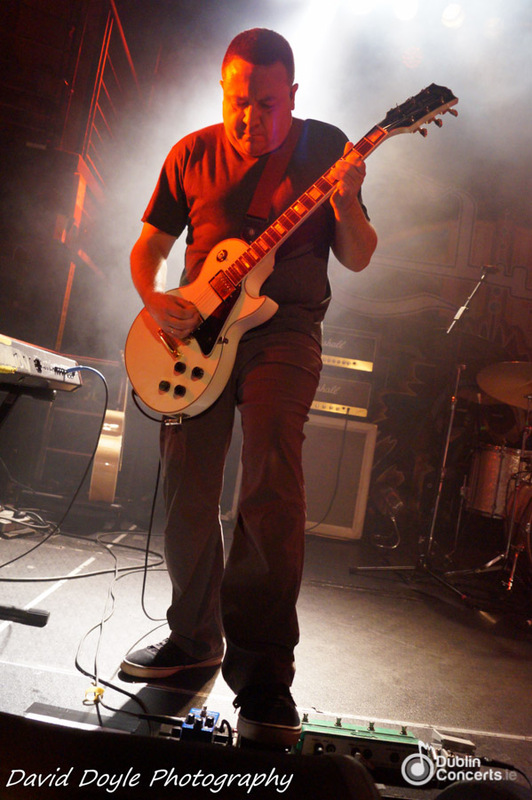 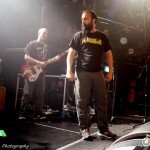 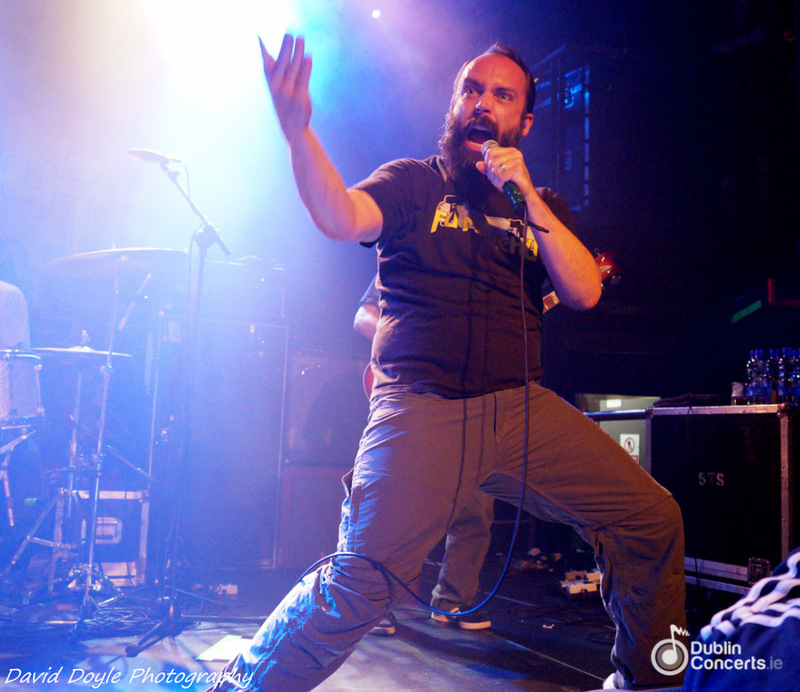 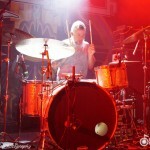 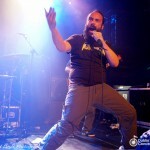 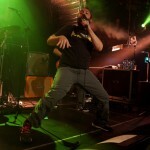 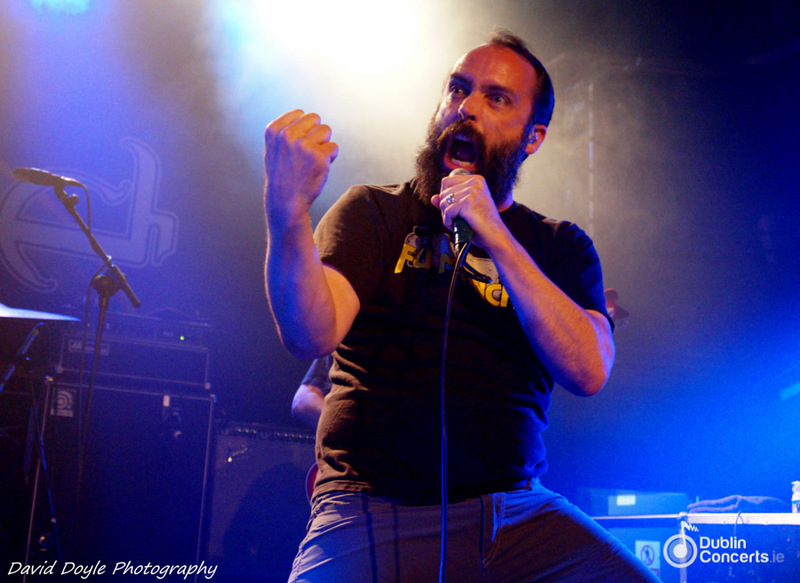 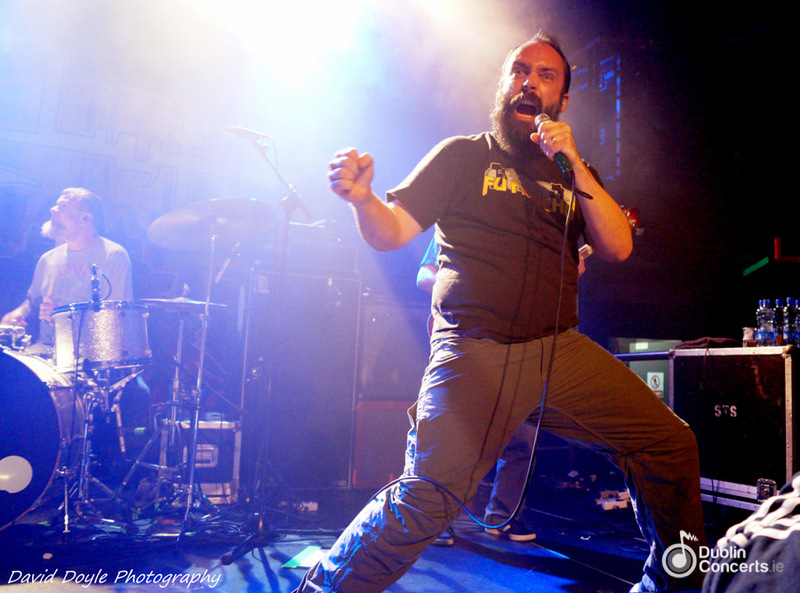 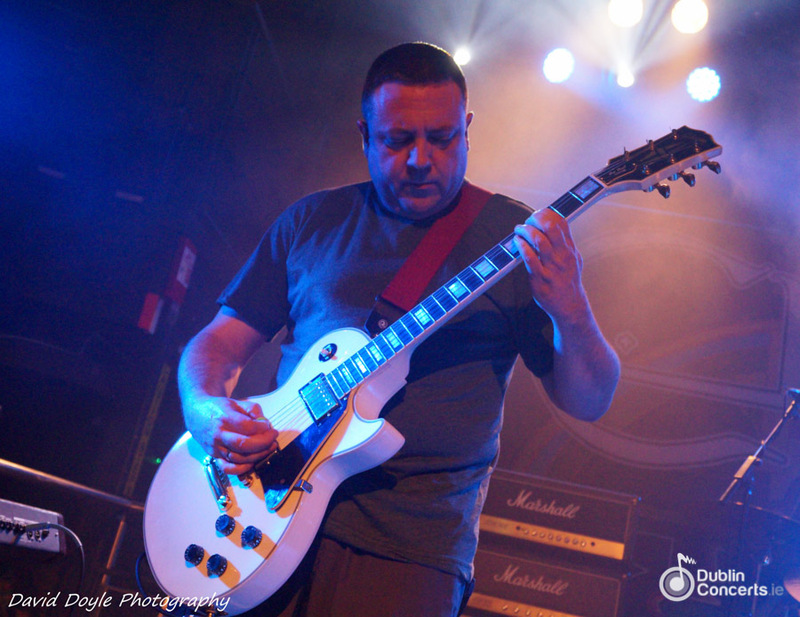 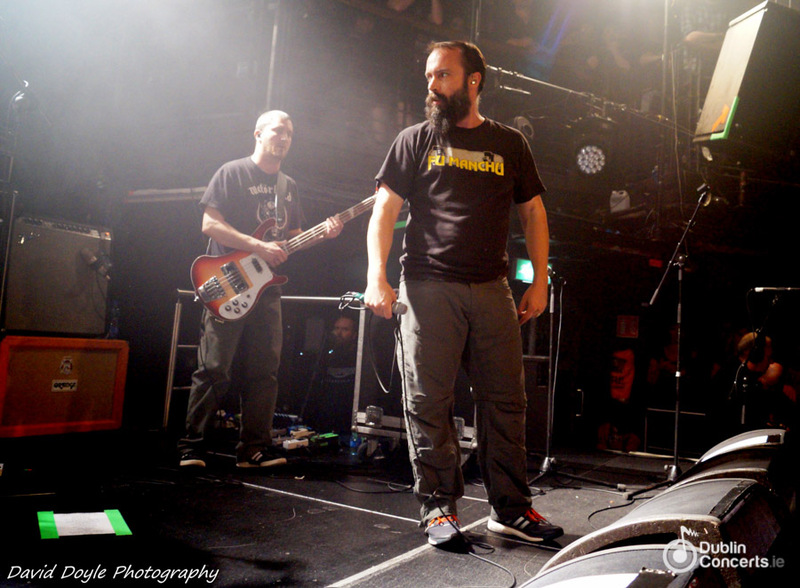 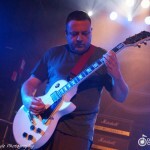 Clutch formed in 1990 and band members Fallon, Tim Sult, Dan Maines and Jean-Paul Gaster have remained constant throughout, releasing no less than ten studio albums, five live albums and five EPs together. 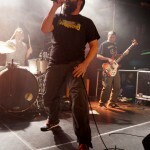 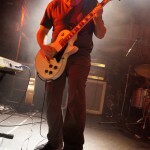 Their music can be classed southern-, stoner-, funk- or blues-rock and has found appeal among a wide cross-section of fans of rock, metal and alternative music. 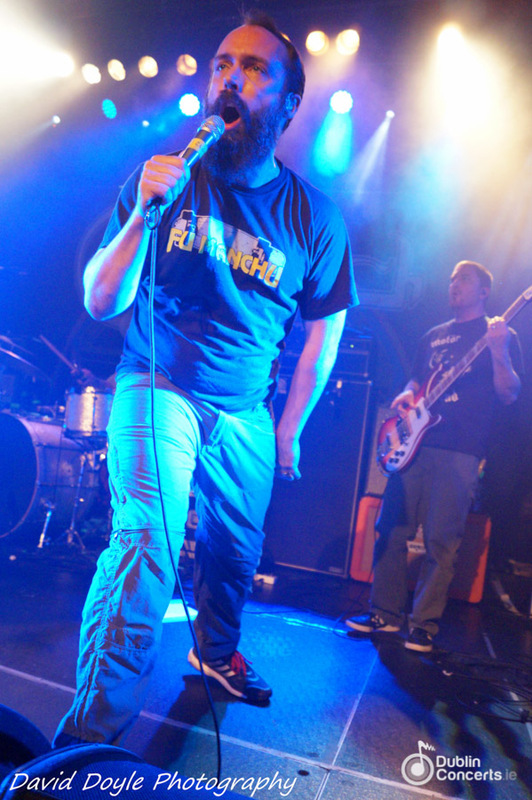 The second song of the night is the title track from Earth Rocker which features the lyric “If you’re gonna do it, do it live on stage, or don’t do it at all”, which is obviously a mantra of Fallon and his bandmates. 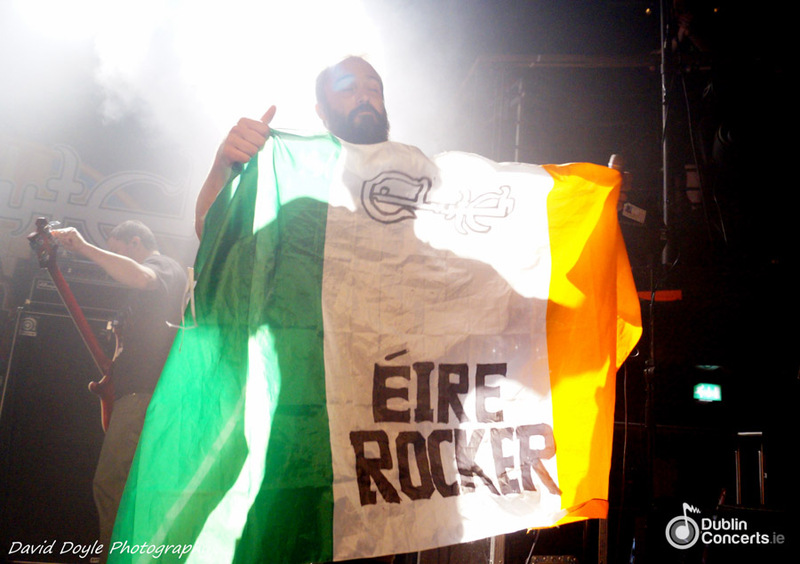 Some fans manage to manoeuvre their way through the crowd carrying a large Irish flag bearing a hand-drawn logo: “Clutch – Éire Rockers”. 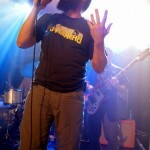 They throw it to Fallon, which he catches mid-vocal without missing a beat, and proudly admires it. 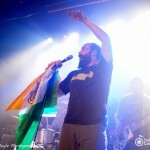 After the song, he takes a sip of whiskey, chases it with water, and remarks “Thanks for the souvenir. That’s stadium rock business right there. 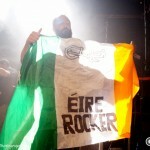 We’ll hang it up in our jamming room back home”. 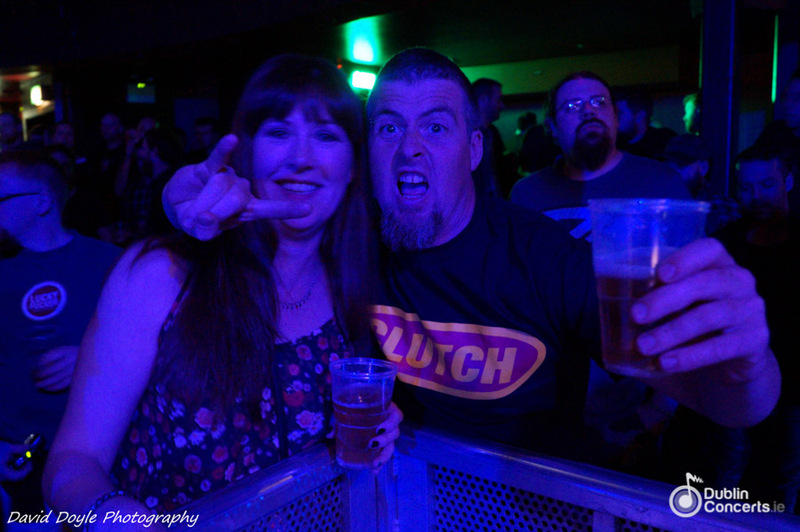 The show continues with most of the Earth Rocker tracks and plenty of earlier fan favourites including ‘Pure Rock Fury’ and ‘The Regulator’, which recently found fresh ears when it featured in an episode of the zombie TV series The Walking Dead. 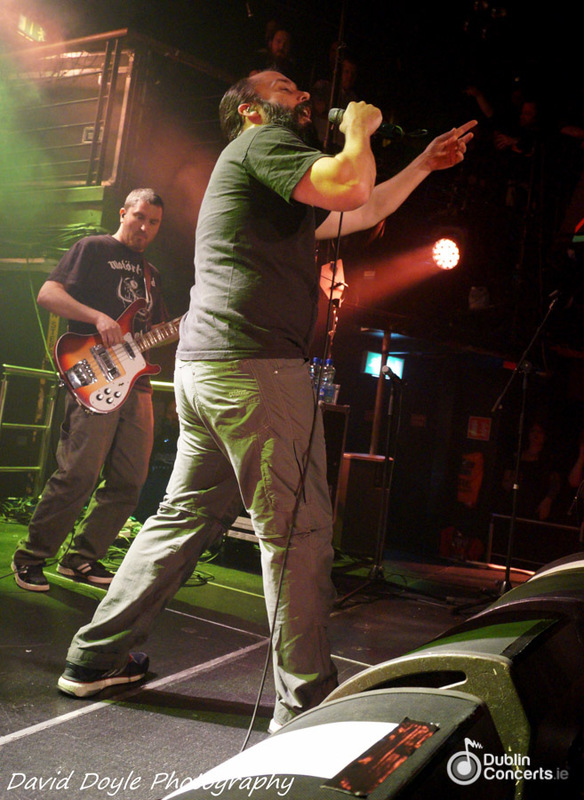 ‘Spacegrass’ from their 1995 eponymous album has the crowd singing along loudly with the chorus line “Whenever it feels right” and we are treated to a brand new unreleased song called ‘Mad Sidewinder’. 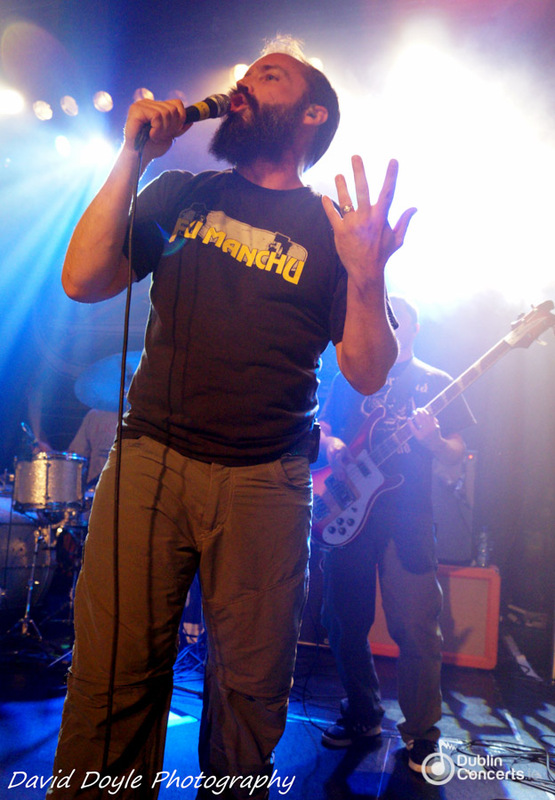 After a short break, the three song encore starts with ‘DC Sound Attack’ featuring Fallon playing harmonica and an extended cow bell solo. 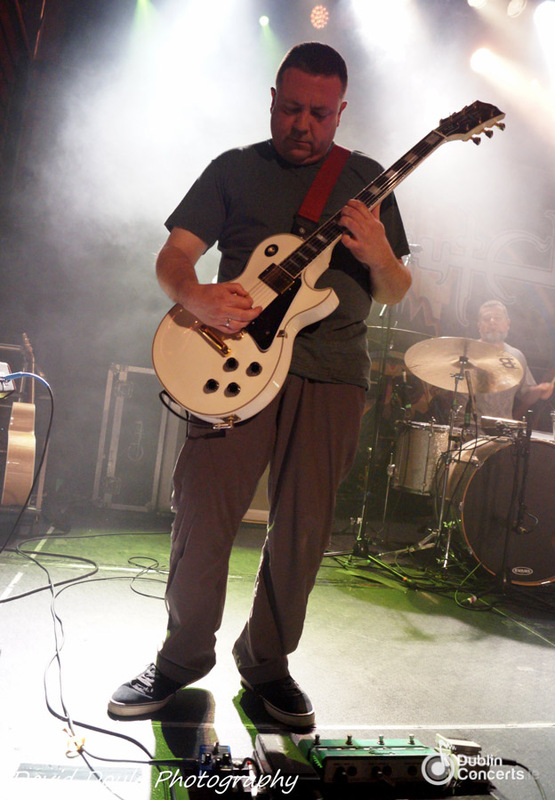 This is followed by a distinctive bluesy guitar riff, instantly identified by the crowd as the intro to ‘Electric Worry’; one of Clutch’s most popular tracks and a partial cover of Fred McDowell’s version of ‘Worried Life Blues’ recorded in 1964. 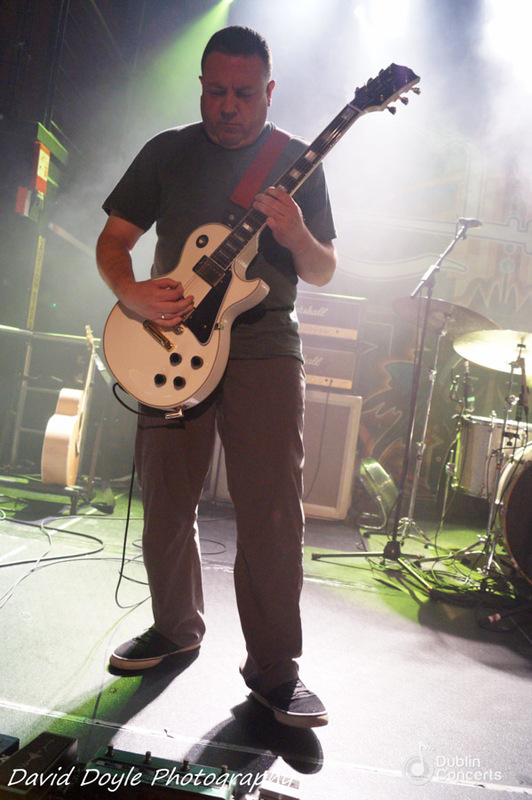 The impressively lengthy performance ends at about 10:30pm with ‘One Eye Dollar’ from their 1999 album Jam Room, and to huge appreciation from the audience. 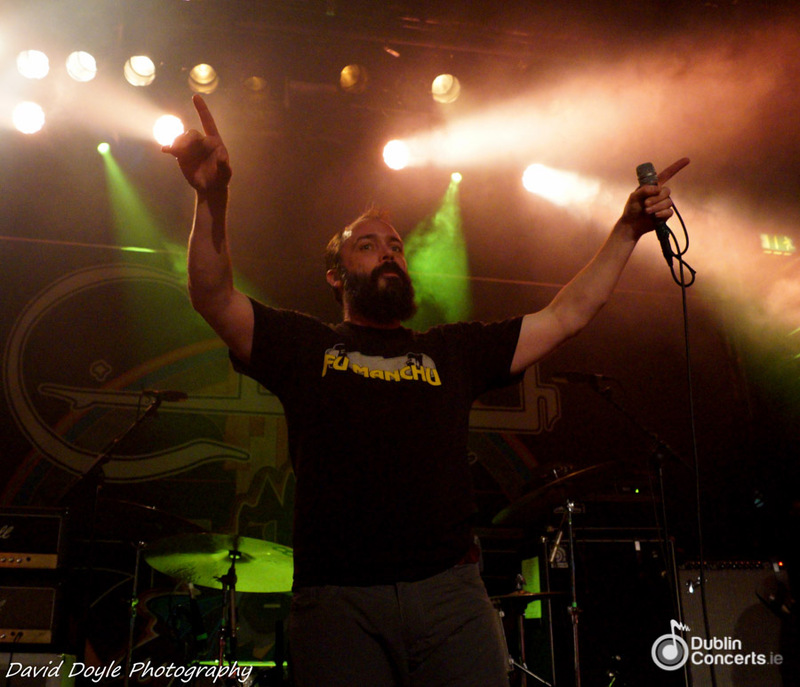 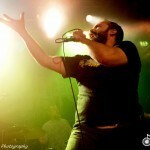 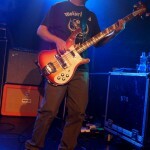 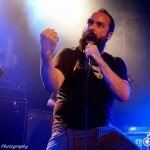 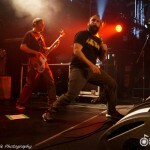 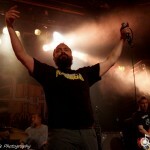 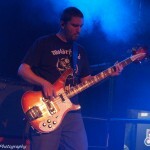 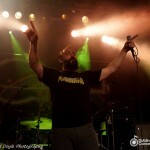 Clutch will be taking a short break from touring and then hitting some European festivals this summer. 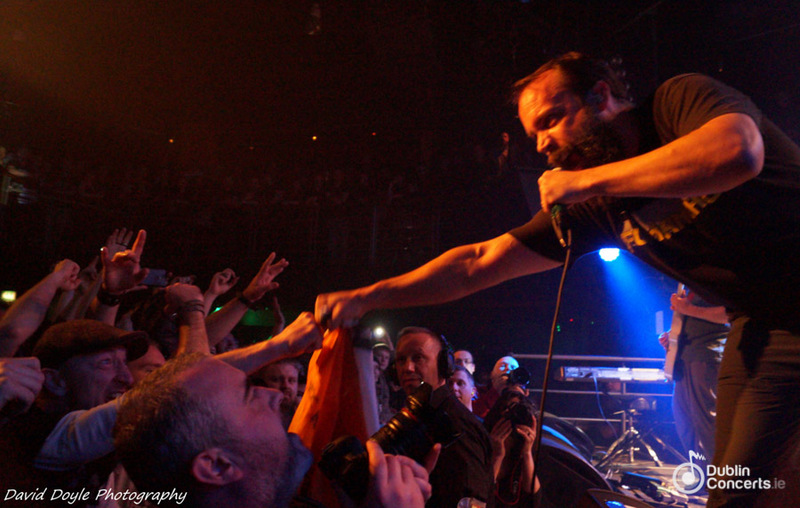 Hopefully Dublin won’t need to wait another nine years to see them again.